During your stay at one of Cabins USA's superior cabin rentals, Smoky Mountain theater shows might be of interest to add to your itinerary. 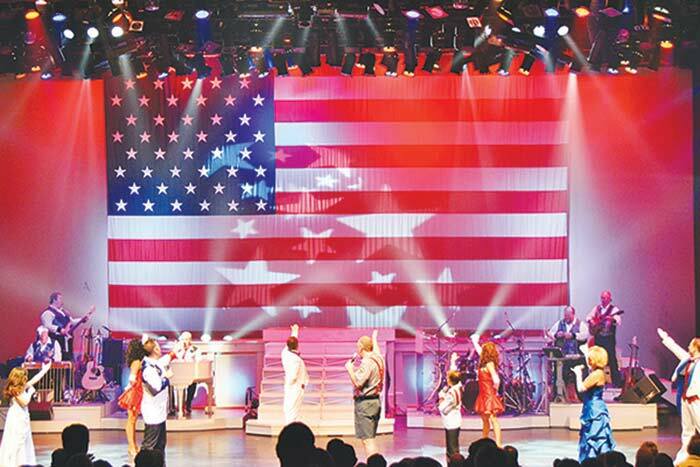 Whether you desire to see music, comedy, dance, magic, or horses, Smoky Mountain theaters provide shows that dazzle and entertain with talented casts, surprising tricks, high-tech special effects, and more! With such a variety of Smoky Mountain theaters and shows to chose from, you'll need to dedicate more than one evening to catching all the exciting shows in the area. Wanting to laugh away your everyday worries and cares? Smoky Mountain theater shows offering comedy performances will lift your spirits and have you doubled over with laughter. Smoky Mountain theaters and shows offer comedy ranging from comedic hypnosis to classic hillbilly comedy. Make sure to include a Smoky Mountain comedy show for a cackling good time! Watch as horse vaulters and performers perform death-defying stunts on horseback! From acrobatics to jumping through rings of fire, these horses and their riders will have you gasping with excitement. Smoky Mountain theater shows with horses are perfect for the whole family. Let skilled illusionists baffle you with mystifying slights of hand and cunning tricks of the mind. From classic card tricks to magicians who seemingly read your mind, Smoky Mountain theaters with magic shows will have audiences asking how on earth the performer managed to create such an illusion. These performers leave the audiences spellbound every night. Enjoy a nostalgic musical tour through the past at Smoky Mountain theaters and shows hosting live music. From Elvis to Motown, these theater shows' performers will have you tapping your toes and singing along to your favorite songs. Looking for Smoky Mountain Theaters that offer dinner with their show? Cabins USA seeks to provide detailed information on area attractions to assist our guests in making the most out their Smoky Mountain vacation. Check out our Smoky Mountain dinner shows page to find entertaining shows that include a meal in the ticket price! Start your morning in the Smokies with the uplifting, inspiring show by the Blackwood singers in Pigeon Forge, TN. Performing Southern Gospel favorites, Broadway hits, and old-time favorites, the talented cast will entertain you at this morning show. Experience side-splitting comedy appropriate for the entire family at Comedy Barn Theater Pigeon Forge, TN! With lots of audience participation, this show will keep guests entertained from the start of the show until the curtain closes! Regularly voted the best show in the Smokies, Country Tonite Pigeon Forge, TN presents quality entertainment with talented singers, musicians, dancers, and youth performers. From country classics to contemporary songs, this show is for the whole family! Visit Iris Theater Gatlinburg for a show to remember! Located in the Gatlinburg Space Needle, this theater provides shows that will entrance you with mystifying feats of magic as well as have you doubled-over with laughter! Come see the longest running show in the Smokies at Memories Theater Pigeon Forge, TN! This Elvis show in Pigeon Forge, Tennessee presents talented tribute artists from around the nation to bring your favorite stars to life on stage. Step back in time to the music halls of the 1890's with a stage full of old-fashioned vaudevillians! Filled with song, dance, theater, and plenty of opportunity for laughter, Sweet Fanny Adams Theatre Gatlinburg, Tn is the most unique show in the Smokies! Come experience the best magic show in Pigeon Forge at Terry Evanswood's "Wonders of Magic Show!" This magic show will take you on a journey through illusions and mystifying slights of hand with one of the longest running headliners in the Smokies! Experience the show with the most variety in the Smokies at Smoky Mountain Opry! This performance boasts more singers, performers, dancers, musicians, animal acts, magicians, etc. than any of the other Pigeon Forge Shows. There's something for everyone!